How much is Bush Family Worth? The Bush Family net worth: The Bush family is a prominent American political family who has a combined net worth of $400 million. The Bush family has built their net worth from a family of successful bankers and businessmen that spans back three generations. 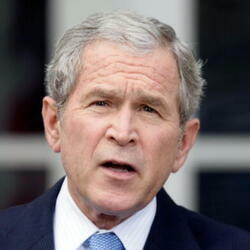 To date, The Bush family has produced two U.S. Senators, one Supreme Court Justice, two Governors, one Vice President and two Presidents. The family is of both English and German descent. The Bushes have been described as one of the most successful political dynasties in American history. The elders, George Herbert Walker Bush and Barbara Pierce Bush, have been married for more than 70 years years. The Bush compound is located near Kennebunkport, Maine, and has been in the Bush family since 1903. Ex-President George H. W. Bush uses this estate as his summer home, which he inherited, when his parents passed away. It was originally built by St. Louis banker George H. Walker. While he was President, George W. Bush's "Summer White House," also known as the "Western White House," was the Prairie Chapel Ranch in Crawford, Texas. Richard Bush, who is believed to be the earliest known patrilineal member of the Bush family, lived from 1696 to 1732, in Bristol, Plymouth Colony. The Bush family has many connections to other prominent families, such as, wealthy American banker and businessman George Herbert "Bert" Walker . Walker was the grandfather of the 41st President, George H. W. Bush. George H. W. Bush's wife, First Lady Barbara Bush, is a second cousin of Franklin Pierce (14th President). The Bushes are distantly related to fellow Presidents Theodore Roosevelt, Richard Nixon and Gerald Ford. George W. Bush is the 11th cousin, through Samuel and Sarah Soole Hinckley of 17th-century Massachusetts, to the President Barack Obama. George is 9th cousins to his Presidential opponent John Kerry. 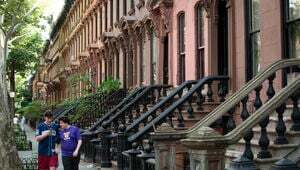 The Bushes also have ties to Winston Churchill, through three different families, the Coes of New York, the Sumners of Massachusetts, and the Shermans of Rhode Island. Some of the Bush's Mayflower descendants include John Howland, John Tilley, Henry Sampson, and possibly Francis Cooke. Samuel P. Bush was president of the Ohio Association of Manufacturers, and a close adviser to President Hoover. He lived from 1863 to 1948. Prescott Bush served as a US Senator from Connecticut. 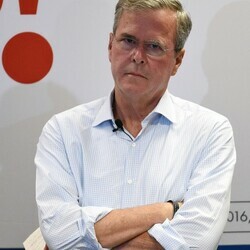 Jeb Bush was the 43rd Governor of Florida, and is the second eldest son of George H.W. Bush. 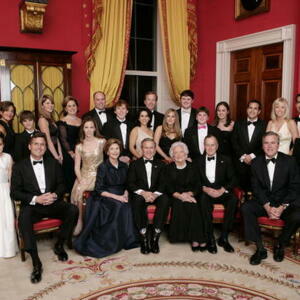 There are many different careers within the Bush family, in addition to their political ties. Lauren Bush is a model for Tommy Hilfiger. Marvin Bush is a venture capitalist, Jonathan S. Bush, is an insurance executive, and Billy Bush , who is the former host of Access Hollywood.